The blueprints have been drawn and plans are in the works to move the UWM Libraries Archives, which are currently located in various places throughout the Golda Meir Library building, to the third floor of the west wing. This undertaking was made possible by a $1 million lead gift from an anonymous donor. The Archives houses nearly 8,000 cubic feet of primary sources in a variety of formats, including paper, photographs, magnetic tape, film, and digital files. 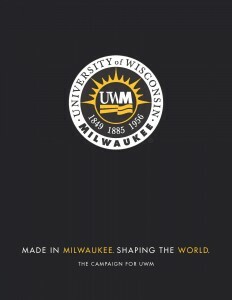 In addition to documenting the history of UWM from its establishment in 1956 to its recent designation as an R1 institution, the Archives collects, preserves, and shares primary sources relating to significant aspects of Milwaukee history. Notable collecting areas include immigration, the civil rights movement, LGBT history, and Milwaukee brewing history. Every year, archivists provide historians and other scholars with access to the collections that are critical to their research, and help undergraduate students develop critical thinking skills through the use of primary sources. The Archives has outgrown its current location in the second floor, west wing of the Golda Meir Library. Additionally, the present location poorly serves the needs of the Archives’ community, from students who require a space that supports active learning to advanced researchers who require space for quiet study and contemplation. It also lacks the environmental controls that are necessary for the preservation of historical sources. 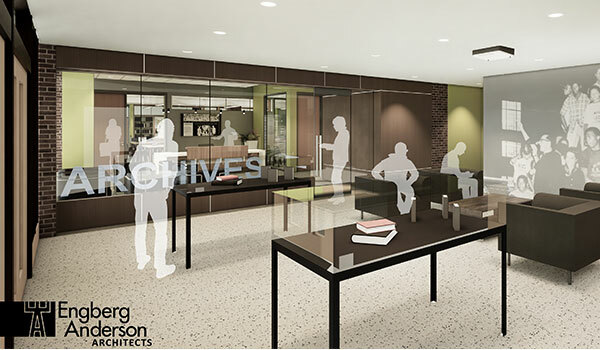 The new space will consolidate storage of most archival materials in one environmentally controlled location, with additional space for exhibits, research consultations, quiet study, and an active learning classroom. The entire project is estimated to cost $2.1 million, and additional fundraising is underway to support this effort.